“There is no such thing as a new atheist,” Susan Jacoby writes toward the end of her lively, passionate biography of Robert Ingersoll. Today’s secular thinkers, she argues, should not only acknowledge their debt to Ingersoll, but also adopt his willingness to cooperate with moderate religious leaders on economic justice and civil-rights issues; Ingersoll critiqued religion but never despised the religious. Ingersoll, who died in 1899, is today an obscure historical figure, but in his time — an era when post-Civil War America was struggling to define itself — his voice figured heavily in debates that sound startlingly contemporary: the role of religion in government, the rights of women and racial minorities, the responsibility society bears toward its poorest members. In his role as a speaker and leading Republican, Ingersoll fought against the idea that our founders had sought to establish a Christian nation, pointing repeatedly to the absence of religious references in the US Constitution. “They knew that to put God in the Constitution was to put man out,” he famously said, a position perhaps even more controversial in our times than his. “There is no establishment figure who says anything of the kind in America today,” Jacoby points out. Literature favors the orphan. How better to start a story than with an abandoned baby, left behind to enter a mysterious future? 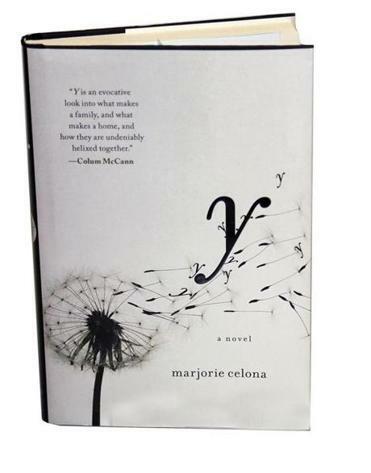 In “Y,” a gorgeous, moving debut novel, we meet Shannon on the day of her birth, as she’s deposited at the door of the YMCA. Growing up in a series of temporary households, Shannon learns not to expect much — she faces love and abuse — but she emerges as a character of enormous strength, a survivor who is unflappably honest about her shortcomings. Marjorie Celona constructs her novel by alternating the twin tales of Shannon and her birth mother, a teenager living if not off the grid then at its borders. The stories converge as Shannon matures and starts to seek clues into her past, aided by the loving mother she finally gets. Celona writes with acute sensitivity to how a child sees her world — from her hazy understanding that one adoptive father is going to hurt her, to her instinctive urge toward kindness to another foster child. She renders a character readers will love in all her glorious self-doubt. One of our hardest-working writers, Calvin Trillin has written books on a number of topics, notably crime, food, family, and politics. He has mostly treated the first three seriously, even passionately; because he’s a wise man, his writing on politics is some of his silliest, most irreverent work. Here, as in 2008’s “Deciding the Next Decider,” Trillin unleashes the power of doggerel to recount our most recent presidential election, a particularly rich source for humor. Trillin begins his tale with President Obama’s first election and all-too-brief honeymoon period (“The legislative battle recommenced/Whatever he was for they were against”). At its best, Trillin’s light verse perfectly captures the flavor of some of the more charismatic potential candidates, such as Sarah Palin, who decided to forego another crusade for elective office in favor of becoming, along with her family, reality TV stars: “Kardashians, but with a North Woods angle.” Donald Trump’s decision not to run left late-night comics bereft: “Our pet buffoon has left the room so soon!” His humor can bite, too. He calls the millionaire Tea Party funders “[t]hose black-tie populists, the brothers Koch” and ends by skewering efforts to erect barriers to the ballot box: “The voting we need in this land of the free/ Is voting by people with whom we agree.” Whether or not you agree with Trillin’s unabashedly liberal take on 2012, it’s hard to argue with that.